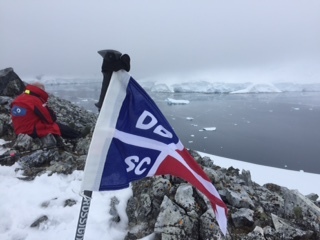 On his never-ending quest to find new and exciting courses for DBSC sailors Peter Collie has travelled to Antarctica. He reports good potential for starting a new laser regatta there and has planted the DBSC burgee to stake our claim. 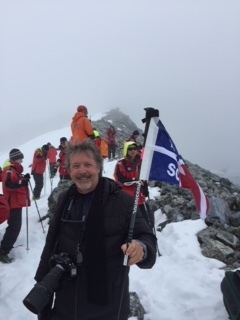 Thanks Peter for extending our reach to yet another continent!